I have a lot to learn about photography for cards. This photo is from my Instagram account and some freebie app layouts. 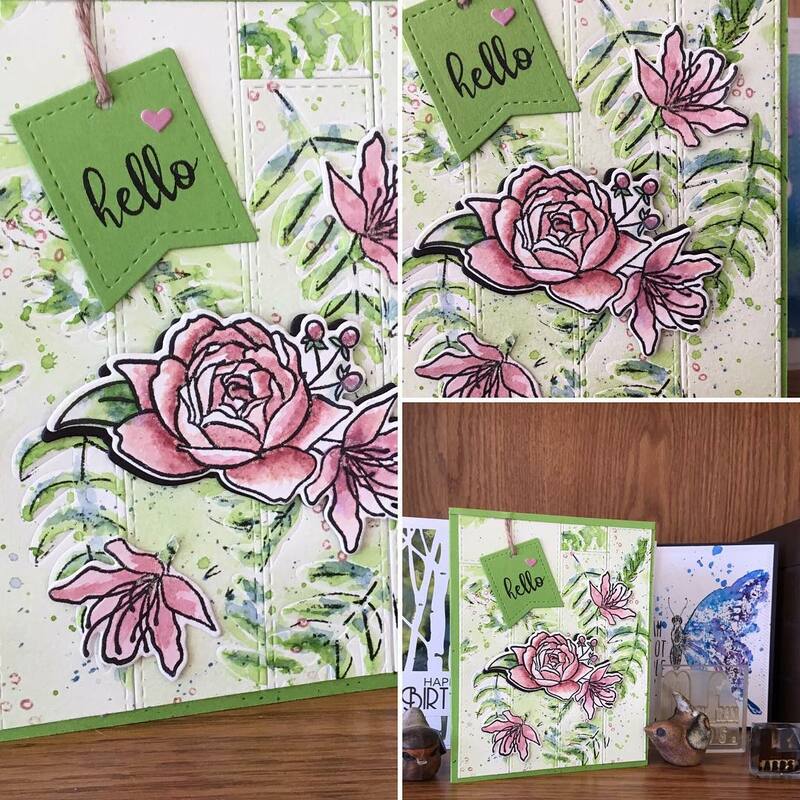 Anyhoo, I used Altenew's Framed Floral Set. I stamped the ferns with Versafine Onyx black ink, then painted them with Peeled Paint and Faded Jeans Distress Inks. I dry embossed the ferns with the coordinating dies so I'd have something raised up to grab the ink for the ferns. Next I painted the large and small flowers with Victorian Velvet Distress by going back and layering lots of times to get it to look deeper pink as the ink kept drying so light. I die cut the flowers and cut apart the flowers so I could use the smaller one above and below for balance. I also cut the background with the My Favorite Things Vertical Stitched Panels and pieced it onto some apple green Bazill Cardstock. The sentiment is from the Framed Florals as well - cut a little tag from Pretty Pink Posh. Voila! Such a nice card! 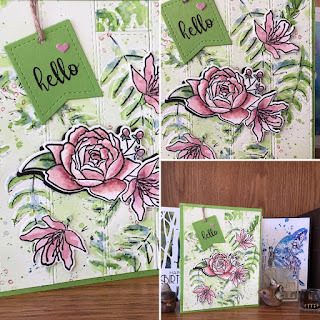 Love how you combined dry embossing and coloring. 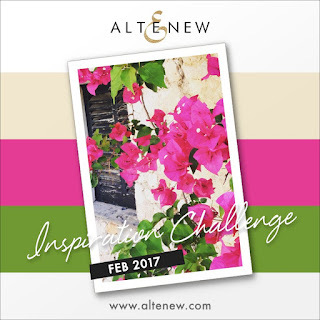 Thank you for playing Altenew Inspiration Challenge! Awwwww- thank you very much!